Broadway Tower is nearly complete. 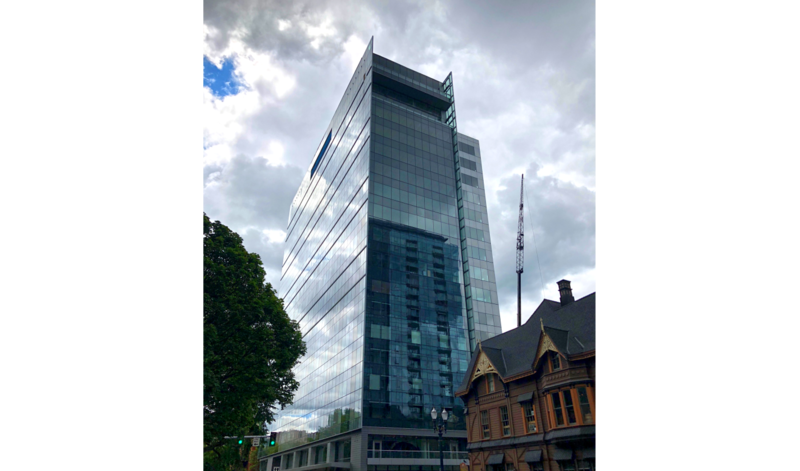 The new mixed-use high-rise building located on a half block in Portland’s South Park Blocks will receive its certificate of occupancy in mid-October. The 309,000 square foot, 19-story building will combine the United States’ 2nd Radisson Red hotel, (including a world class bar and restaurant), with 175,000 square feet of Class A office space, ground floor retail, as well as parking for 210 cars and 130 bicycles. 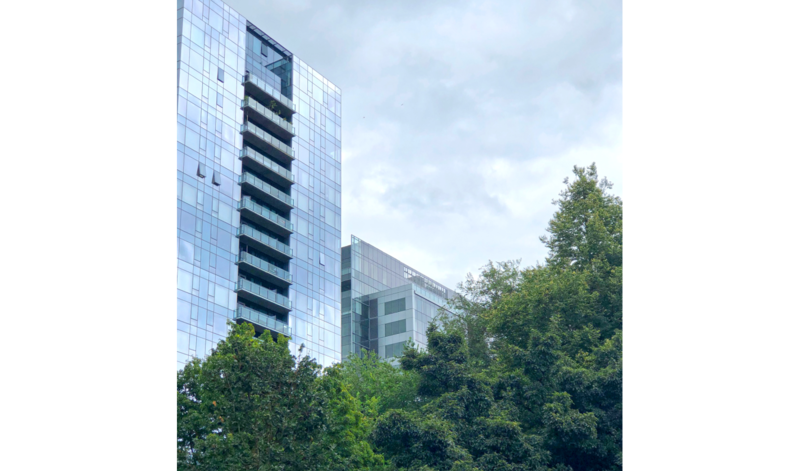 To learn more about how Broadway Tower’s simple, crystalline form is shaping the Portland skyline, click here.